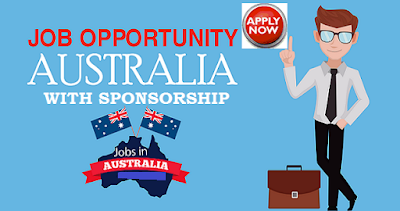 Jobs in Australia with Sponsorship. Australia is one of the most popular destinations for migrants who are looking for a high standard of living and a wealth of job opportunities. Australia has low unemployment, meaning that finding a job is not as difficult as in many other parts of the world, however to be eligible to apply for many of the necessary visas to relocate to Australia you will need to have sponsorship from an Australian citizen. If you do not have a close family member who is already a permanent Australian resident, one other way to obtain a visa in order to emigrate is to find sponsorship from an Australian employer. Luckily, many Australian businesses are keen to attract suitably qualified and skilled staff from overseas to work for their companies, and therefore finding a suitable sponsor is a relatively straightforward task. One of the best ways to find a sponsored job in Australia is to work in a "skills shortage" sector. Australia currently has a lack of talented workers to be employed in industries such as construction, accountancy, digital media, engineering, health care and telecommunications. If you already have qualifications and experience in any of the areas that have been identified as a skills shortage sector, you will be in a good position to find a suitable sponsor for your application. There are also specific skill shortages in different regions of the country, so if there is a specific area in which you would like to live, you should concentrate on shortage skills in that territory. There are two types of job sponsorship visas available - those that are temporary for a period of up to 4 years, and a permanent visa which has no set end date. Although you may prefer the security of permanent job sponsorship, you may find it easier to initially seek out a temporary sponsorship from an Australian employer as many companies do not want to take the risk of offering permanent sponsorship to an overseas employee. With a temporary sponsorship, you will be able to prove your abilities and skills to your employer which may then lead on to a permanent sponsorship. The first step to finding a sponsored job in Australia is to prepare a professional-looking Australian CV. As not every sponsored vacancy will be advertised publicly, it is important to research suitable Australian companies that may require your particular skillset and then send your resume directly to them or give them a call and ask if they would be interested in sponsoring employees from overseas. Even if they have no current vacancies, staying in touch will ensure that you are the first to hear when a position becomes available and will also help you to develop a network of useful contacts within your industry in the country. If you can possibly visit Australia, that would be very helpful as you will be able to arrange meetings with helpful people within your industry and impress them face to face. There are many websites which feature large numbers of Australian sponsored jobs. A quick browse of the internet will turn up numerous portals that list a great range of vacancies within all kinds of employment sectors. Alternatively, there are also employment agencies which specialize in placing job seekers with Australian companies which are looking to recruit suitably qualified staff from abroad. The Australian SkillSelect program is a vital portal for anyone looking for an Australian employer sponsor. This online service allows potential migrants to submit an Expression Of Interest in suitably sponsored employment in which they outline their qualifications, education and prior experience. Australian employers who are searching for staff can then view these details and contact individuals who match their requirements in order to invite them to apply for a working visa. One way to find a sponsored position in Australia is to enter the country using the Working Holiday Visa scheme. This program enables young people to visit Australia for sightseeing and traveling purposes, but to also undertake employment in order to support themselves at the same time. This type of visa enables the holder to build up a network of contacts and to get essential Australian working experience that may well lead to an offer of a sponsored position.